All Is But A Beginning is now available as an audio book for digital download at Audible.com, Amazon and iTunes. All Is But A Beginning is read by Robin Neihardt, the author’s grandson. 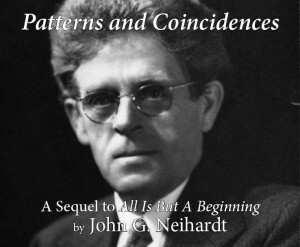 Patterns and Coincidences is now available as an audio book for digital download at Audible.com, Amazon and iTunes. This audiobook is the unabridged reading of John Neihardt’s second autobiographical volume, Patterns and Coincidences. 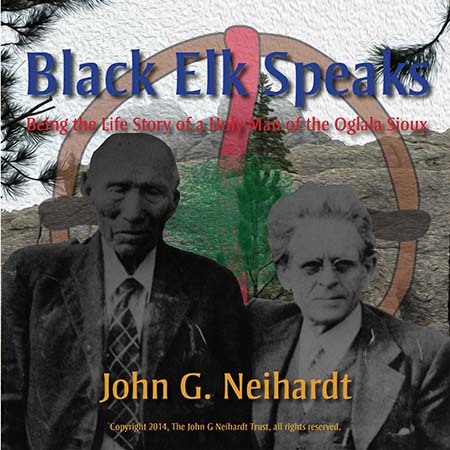 Black Elk Speaks is now available as an audio book for digital download at Audible.com, Amazon and iTunes. Eagle Voice Remembers is now available as an audio book for digital download at Audible.com, Amazon and iTunes. 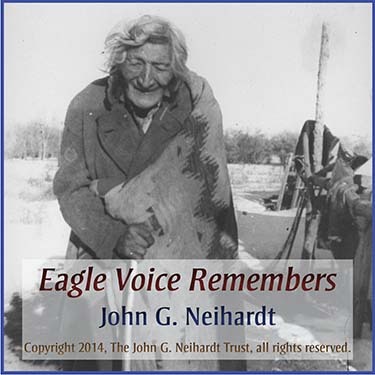 Eagle Voice Remembers is John Neihardt’s mature and reflective interpretation of the old Sioux way of life. He served as a translator of the Sioux past, whose audience has proved not to be limited by space or time. Through his writings, Black Elk, Eagle Elk, and other old men who were of that last generation of Sioux to have participated in the old buffalo-hunting life and the disorienting period of strife with the U.S. Army found a literary voice. 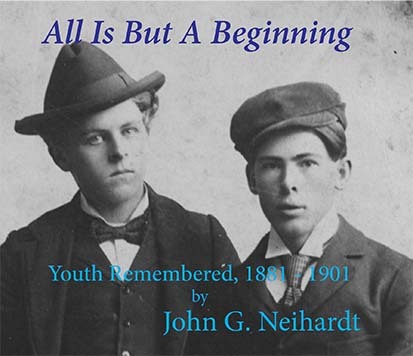 What they said chronicles a dramatic transition in the life of the Plains Indians; the record of their thoughts, interpreted by Neihardt, is a legacy preserved for the future. It transcends the specifics of this one tragic case of cultural misunderstanding and conflict and speaks to universal human concerns. It is a story worth contemplating both for itself and for the lessons it teaches all humanity.”-Raymond J. DeMallie. In her foreword to Eagle Voice Remembers, Coralie Hughes discusses Neihardt’s intention that this book, formerly titled When the Tree Flowered, be understood as a prequel to his classic Black Elk Speaks. 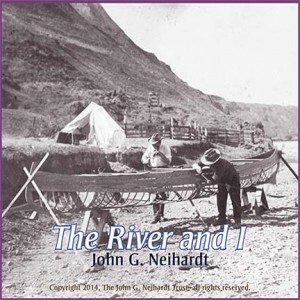 In 1908, the brilliant poet and writer John G, Neihardt traveled by canoe down the then-untamed Missouri River for fifty-six days. His account, rousing and elegantly reflective, showcases the long ago, fascinating world through which the mighty river passed. The River and I is at once a classic adventure tale, an enduring homage to the Old West, and a tale of an abiding love for a relentless river and those affected by it.